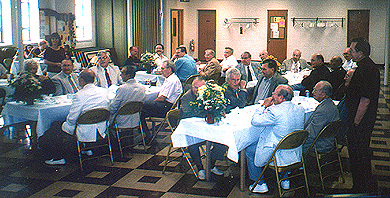 The Men of the parish enjoy an annual Fathers Day breakfast prepared and served by the Ladies' Guild. 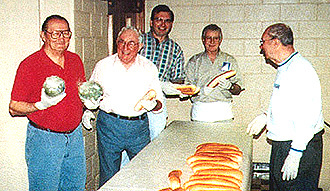 Some of the men having a good time preparing hoagies for their hoagie sale fundraiser, which they hold several times a year. 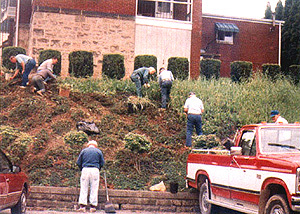 The men tend the grounds of the church. The men pose for a couple of pictures.